The 10 Best RV Trips To Take In Iowa — Must See! Established in 1846, Iowa has built a reputation on being at the center of America’s heartland for more than 150 years. Beyond just cornfields, though, the Hawkeye State is home to some of the country’s most significant cultural sites. The house that inspired the iconic American Gothic painting by Grant Wood, for example, is located in the rural town of Eldon, while the baseball diamond featured in the Academy Award-nominated film Field of Dreams remains fully intact and open to thousands of visitors each year in the city of Dyersville. From an amusement park with one of the country’s best new roller coasters to a breathtaking butterfly garden to a spooky underground cave, there’s certainly no shortage of fun places to visit in Iowa. To help you get started, we’ve pulled together this list of the top 10 attractions so you can build out your own Iowa RV trip itinerary. 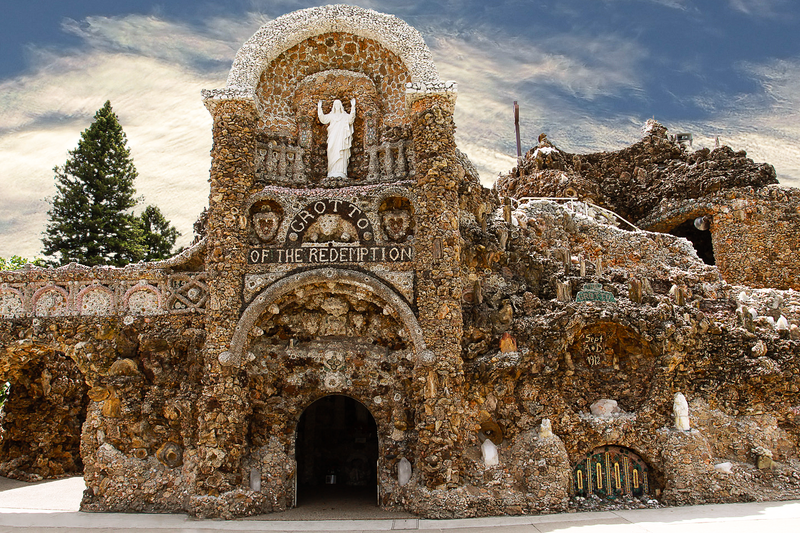 Let’s kick off our Iowa RV trip planner with a stop in West Bend at the Grotto of the Redemption. Starting in 1912 and continuing for 42 more years, Father Paul Dobberstein — a German American priest at Saints Peter and Paul — began setting rocks, gems, fossils, and shells into the concrete structure. The Catholic shrine, which takes up more than a full city block, is now considered the largest grotto in the world. Construction still continues, and some 100,000 visitors now come to see the grotto each year. Whether or not you’re religious, the towering structure is worth a look, if only to admire the patience and perseverance of the immigrant priest who year after year poured his heart and soul into building it. Oddly enough, you can actually find RV camping right at the grotto. There are 53 campsites and the campground provides electrical hookups, central water, a dump station, and showers. Just north of West Bend, you can also try the Water’s Edge Nature Center, which has four campgrounds with electrical hookups and some with water as well. Still need to rent an RV? There are plenty of rentals available from RV owners all across Iowa for as low as $50. 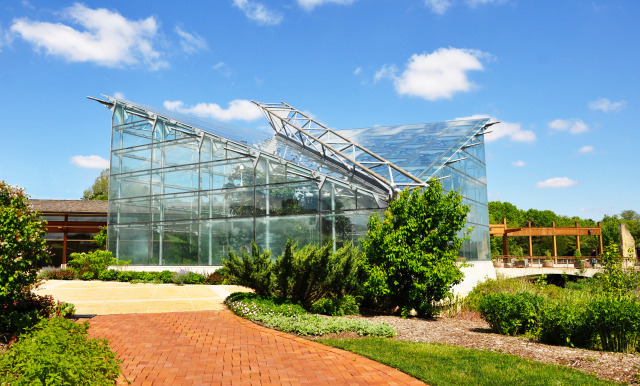 Located on the campus of Iowa State University, the Reiman Gardens are one of the most beautiful attractions in the state. The 17-acre public garden was planted starting in 1993 and today contains a rose garden, herb garden, children’s garden, indoor plant conservatory, and auditorium for educational programs. Inside the glass conservatory is what’s known as the Christina Reiman Butterfly Wing, which is home to more than 800 spectacular butterflies across 80 different species. While on the grounds, you can also take a picture with Elwood, the world’s largest concrete gnome, who attracts dozens of tourists every day. The 15-foot garden gnome is said to weigh over 3,500 pounds and makes for a great snapshot you’ll treasure for years to come. Twenty minutes east of campus you’ll come across the Twin Acres Campground in the town of Colo. The family-friendly RV park has 167 campsites, including ones with electric, electric/water, and full hookups. The campground is located right next to a large lake and fishing pond, and Twin Acres has a camp store, children’s playground, restrooms, and ice cream shop, making it a convenient and comfortable place to stay for a night or two. Looking for Iowa RV trips with kids? Head on over to Altoona to check out Adventureland, the state’s largest family amusement park. Open since 1974, Adventureland now has more than 100 rides, shows, and attractions within the park, including The Monster, a 65 mph roller coaster that CNN named the country’s best new roller coaster of 2016. 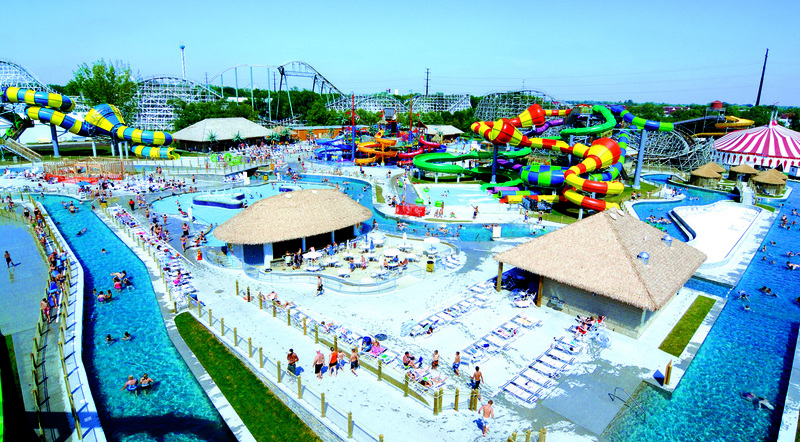 And don’t forget to pack a swimsuit in case you want to check out Adventure Bay, Adventureland’s attached water park. The fun’s not all for the kids, though. From the German biergarten to alcoholic ICEEs to the park’s own Sand Bar, there are plenty of options for you to sit back and enjoy a cocktail when you’re done with the rides. Before you make the drive to Adventureland, be sure to check the website, as the park occasionally does become weekend-only depending on the season. The easiest option is to stay right on site at the Adventureland Resort Campground. The RV campground has full hookup sites, including pull-throughs, as well as its own playground, swimming pool, and dog run. Looking for other options in the area? Don’t miss this list of the top 10 campgrounds and RV parks in Iowa. 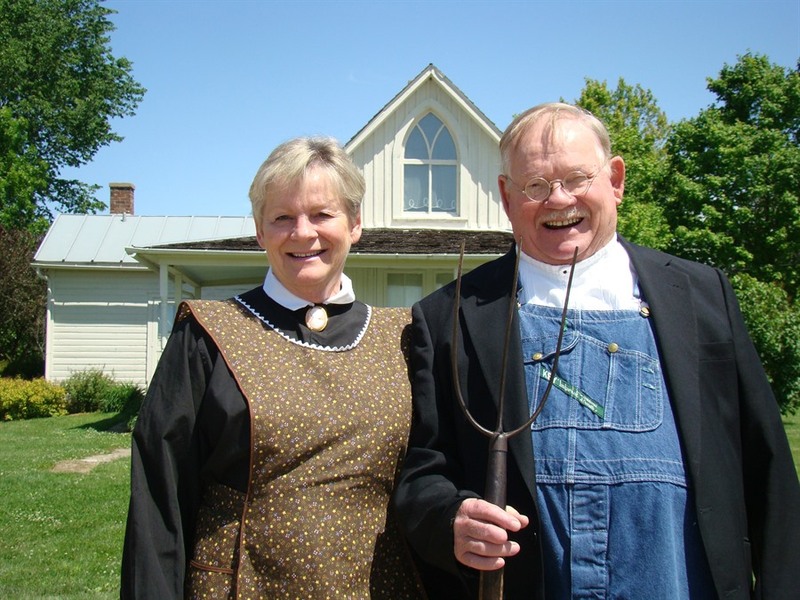 Step back in time with a visit to the American Gothic house in Eldon. In 1930, the quaint white home inspired Iowan artist Grant Wood to create one of the most famous paintings in the world. While the house was maintained as a private residence for decades, it was added to the National Register of Historic Places in 1974 and purchased by the State Historical Society of Iowa in 1991. Admission to the home is free, and the museum provides aprons and jackets as props to help make your photos as close to the original as possible. As of 2015, you can also view the interior of the home for the first time in history on second Saturdays from April to October. Head 25 minutes up the road to the Ottumwa RV Park, a city-owned campground on 340 acres of land. Open from April to October, the RV park offers water and electric hookups as well as a dumping station. There’s also a shower house with restrooms, plus free WiFi throughout the campground. While you’re there, enjoy the tennis courts, baseball field, basketball court, sand volleyball, and soccer field. Campsites are available on a first-come, first-serve basis, so it’s perfect for last-minute planners. Next up on our list of Iowa RV trip ideas is the Amana Colonies in east-central Iowa. The seven villages that make up the Amana Colonies were founded in the mid-1800s by German Pietists, who split with the Lutheran Church due to a difference of religious opinion. In the 1840s, more than 800 members of the growing sect immigrated to the United States, where they lived in New York and Kansas before ultimately settling down in Iowa. The community became a model of self-sufficiency, with residents honing their talents as skilled craftsmen and farmers. The Amana Colonies have since grown into a tourist attraction known for its local cuisine, arts and crafts, handcrafted furniture, and outdoor recreation. Before you go, be sure to check out the website to get information on seasonal events and activities planned throughout the year. The easiest place to stay is right in the middle of all the action at the Amana Colonies RV Park and Event Center. The campground has 450 campsites, including 228 with full hookups and 166 with water and electric. The pet-friendly RV park also offers free wifi, laundry facilities, a camp store, and bathrooms with showers. Ready to hit the road? Find another campground nearby with this handy guide to Iowa RV parks. Ready to get back to nature? 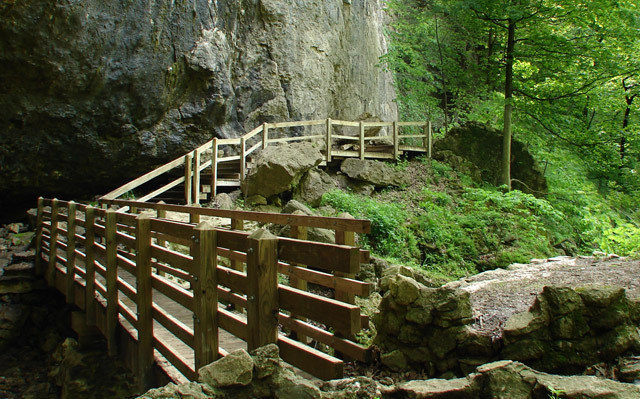 The Maquoketa Caves State Park is one of the best RV trips Iowa has to offer. Discovered by settlers in the 1830s, the uniquely beautiful state park contains 13 caves that can be explored by walking or crawling. With seven miles of trails connecting the caves, limestone formations, and rocky bluffs, it’s a great place to spend the morning on a perfect Iowa day. Pack a lunch and have a picnic at one of the park’s two picnic shelters, or head to the interpretive center to learn more about the park’s history and terrain. By the time you leave, you’ll be relaxed, refreshed, and ready to tackle the rest of your trip. One of the best parts about visiting the Maquoketa Caves is that you don’t even have to leave the park. The on-site Maquoketa Caves Campground has 17 RV sites with electrical hookups, along with communal restrooms and showers. All booked up? Head over to the Riverview Ridge Campgrounds in the city of Cascade. The RV park has sites with full hookups as well as sites with electric only. Riverview Ridge also offers kayak and tube rentals, making it the perfect place to camp out along the Maquoketa River. 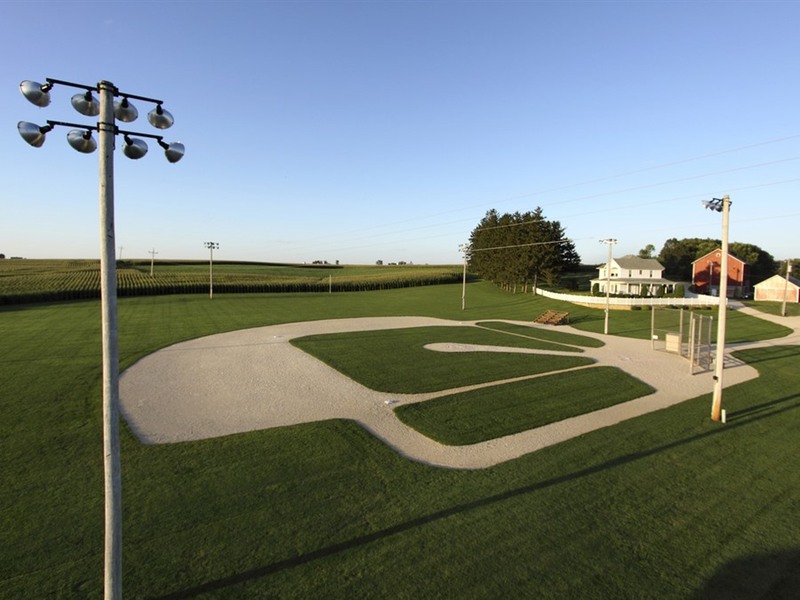 They built it, and people still come: More than 60,000 movie buffs and baseball fans flock to the Field of Dreams movie site in Dubuque County, Iowa each year. The baseball diamond from the hit 1989 Kevin Costner film continues to be one of the state’s most popular tourist attractions all these years later. Admission to the ball field is free, or you can book a guided tour for about $20 with advance reservations. In the future, the site will become a 24-field All-Star Ballpark Heaven youth baseball and softball complex, meaning its history will live on through a new generation. Just east of the baseball diamond you’ll find the Hoot Owl Hollow RV Park and Campground, which offers RV campsites with both full hookups and water/electric. The campground, open every year from May to October, has an on-site swimming pool, game room, playground, laundry facilities, and restrooms with showers. You can also try the nearby county-owned RV campgrounds, which have electric and water hookups as well as dump stations. Next up on our list of Iowa RV vacations is Pikes Peak State Park in the city of McGregor. The sweeping views and quiet peacefulness of the park make it one of the best places in the state to unwind and unplug. Featuring a 500-foot bluff that overlooks the Mississippi River, the park also contains more than 11 miles of hiking trails where you can see limestone formations and even fossil remains of marine life. Mountain bikes are permitted on a portion of the trails, so if you’ve got your wheels, it’s a great place to take them out for a spin. Stay right at Pikes Peak at the on-site campground, which has 52 RV camping sites with electric hookups. The campground has updated bathrooms with showers, as well as a dump site, and is pet friendly for those traveling with animals. Because of the beautiful fall leaves, the RV campsites book up quickly during October, so be sure to reserve a space early if you’ll be arriving in autumn. Every year from May to October, families flock to Spook Cave, a kitschy tourist attraction in McGregor unlike anything else in Iowa. The flooded cave was discovered in 1953 and has since been turned into a privately owned business. 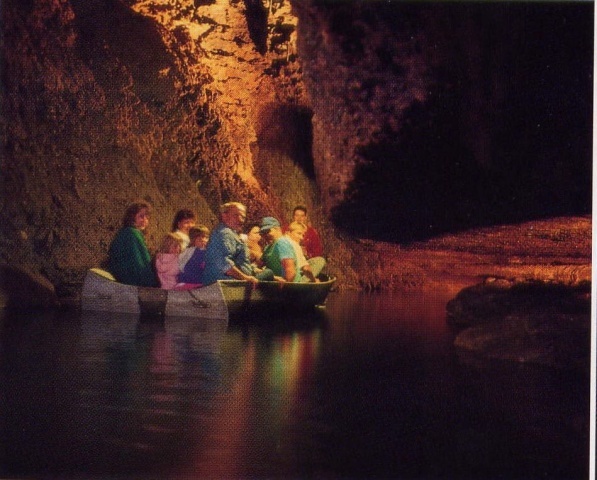 Explore the chilly, 47-degree Spook Cave on a boat tour, where a guide will tell you more about the rock formations and history of the property. It’s a simple pleasure, but it’s sure to be one of the highlights of your trip. Spook Cave operates an on-site campground with both RV sites and cabins, making it the ideal place to hang your hat for the night. The RV park has sites with full hookups as well as just electric/water, and if you’re lucky, you can snag a spot along the trout stream and waterfall. The campground also has a number of conveniences, including showers, free WiFi, a fishing and swimming lake, volleyball courts, and a children’s playground. Located on the grounds of what’s now the Cedar Rock State Park, the Lowell Walter House was designed by famous American architect Frank Lloyd Wright in 1950. Wright built the home for Des Moines businessman Lowell Walter and his wife, Agnes, who wanted to show that stunning design and architecture was possible even in the heartland of Iowa. The result was one of Wright’s most complete works, as everything inside the home from the drapes to the furniture to the tea cups was designed or chosen by him. The exterior glass walls and skylights make natural light one of the house’s most impressive features. Today, the home remains one of the foremost examples of Wright’s Midwestern designs and his so-called “Usonian” style of small, single-story homes. Whether or not you know much about the life and legacy of Frank Lloyd Wright, paying a visit to the estate definitely makes for one of the most memorable Iowa RV road trips. Head north to Hazleton to check out the Morwood Campground, a seasonal RV park open every year from April to October. Morwood has both full hookup and electric/water RV lots, including pull-through sites for easy parking. The campground also has numerous amenities to make your life easier and more fun, including laundry facilities, a camp store, a heated swimming pool, hiking and biking trails, showers and restrooms, sand volleyball, and mini golf. Up the road just a little further is the Lakeshore RV Resort and Campground, where all of the RV campsites have full hookups with electric, water, and sewer. Lakeshore provides WiFi throughout the campground and also has activities like shuffleboard, a beach with swimming, wagon rides, frisbee golf, mini golf, horseshoes, and basketball. We hope you’ve enjoyed our free Iowa RV travel guide and Iowa RV travel tips! No matter whether you’re heading to the Amana Colonies or the Maquoketa Caves State Park, there’s plenty to do and see in the Hawkeye State and there’s almost always an RV park or campground within a 30-minute drive of wherever you’ll be traveling. Before you head out to any one of our 10 spots, be sure to call ahead to whichever attraction you plan on visiting, as many of them fold up for the fall and winter months. Typically speaking, most places are open between May and October to take advantage of the warm weather.